April wrote to say "I am trying to become a better rider, realizing that riding only 2-3 times a week makes it difficult to be even marginally better. I really can't go to clinics as they are too far away and too difficult to do. There is a local dressage club, but that does not appeal to me. My question is what do you work on or what can you do by yourself to refine your riding skills? Thank you. " I think you an get some improvement by limited riding - it's likely how you approach it. As far as clinics, they can be really useful but if they are not possible for you right now then there are many DVD's from tophands available and they can help. Having someone watch you or even video taping you for later review can help as well. 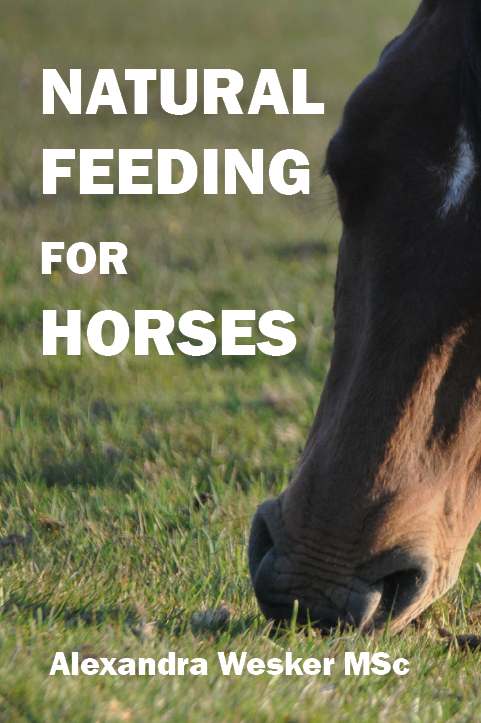 Dressage may not appeal to you, me either, but auditing a schooling session or, better yet, riding with some of those folks may help you become a better rider. The way I look at it, dressage riders have to know what they are doing to sit in those tiny saddles! Some dressage clubs also offer Western dressage. I don't know much about it though, so I might be negligent in saying it's just dressage in a western saddle,....likely it's a little more than that, I just don't know. If the competition aspect of dressage (or other events) bothers you, so could just approach that work from a training angle as opposed to just competing for ribbons or buckles. I know that competition sometimes brings out the worst in some people, but it can also serve to illuminate shortcomings and motivate others. 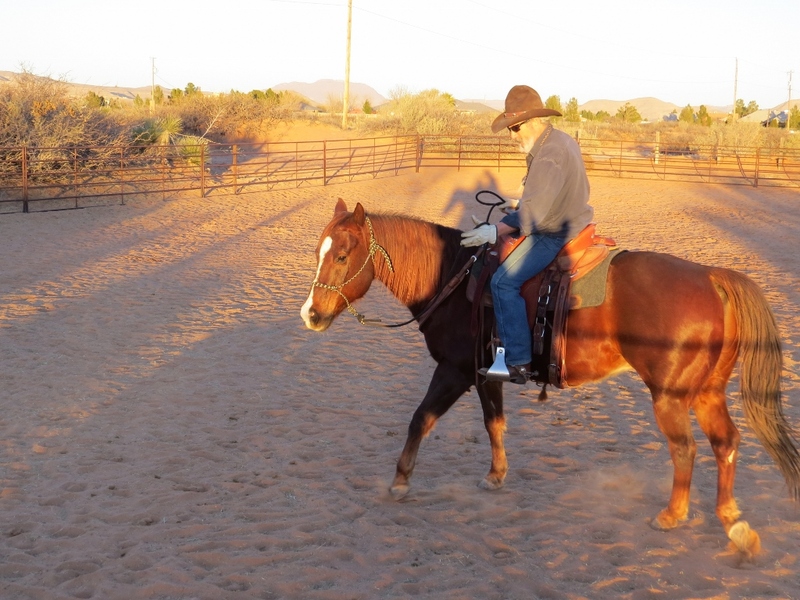 As far as becoming a better rider, I think I've always wanted to become a better horseman and never much thought about just the act of riding until a fairly short time ago. I remember about 12 years ago I was riding with some cowboys on a gather in a BLM managed grazing unit. 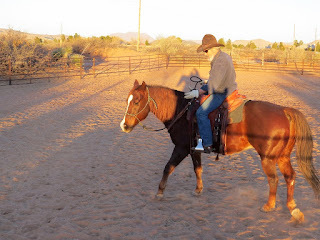 One of the older cowboys said to me something to the effect that I have slow hands - meaning that I was not trying to man handle my horse through the reins. It was meant as a compliment and I took it that way. He also said something to the effect that he was happy to cowboy with me. I replied that I was just trying to become a better horseman. He thought I was trying to funny or something. I'm not saying that cowboys can't be horsemen or vice versa, just that my focus was getting better at communicating with horses and riding is just a part of that. I always thought I had a pretty good seat and rode in a balanced manner. I've been on some broncs (by accident mostly) and have other horses bolt and take me for a ride. But now I realize that I could use some improvement when it comes to simply riding horses as it pertains my seat, posture and balance. On that thought I brought in a noted area dressage rider and teacher, Martha Diaz, to give a private clinic. We worked simply on circles and straight lines where I was critiqued that I had a tendency to ride with my back a little too rounded, needing to be straighter; that I was dipping my right shoulder when riding circles to my right; and when riding circles to the left I was not riding the outside of my horse and also letting his outside shoulder drift. I was basically unaware of these faults but now am cognizant of looking to correct these faults when riding. Maybe an option for you April is to have one of the better dressage riders work with you one on one once a month or so. Another option would be to video tape yourself riding which may help you see things in a different way than from the saddle.